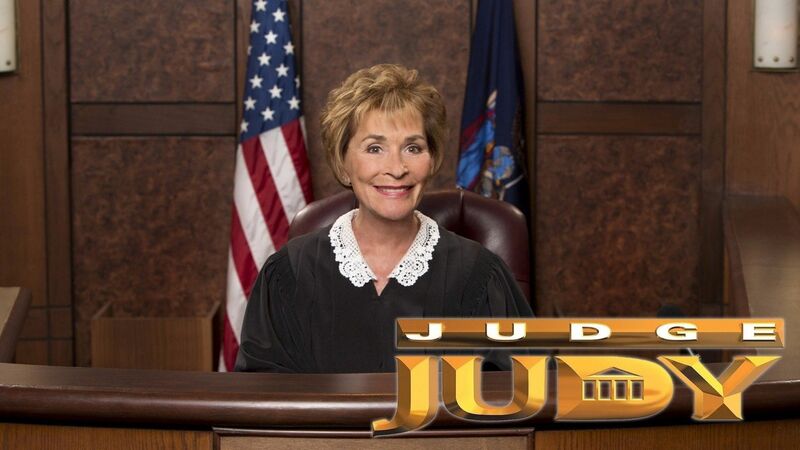 Here's where to watch every episode of Judge Judy season 17. Mouseover or tap an episode to see where to stream it. Click or tap the play icon to stream it on the best available service. German Shepherd Attack | Get Out of My Courtroom! Sep 10, 2012 A dog-attack survivor sues its twin owners for medical bills; Judge Judy kicks a litigant out of court after a heated suit over unpaid bills, missing property and assault. It's MY Cadillac to Lose! | Animal House Vacation Sep 10, 2012 Former friends battle over a 35-year-old luxury car; an owner of beachfront property says a group of male renters trashed the place. Mechanic Mess | Unwed Parent Woes Sep 11, 2012 Driver and mechanics feud over the existence of a car's warranty; a young mother sues her children's father for medical bills, childcare costs and a broken lease after he went to jail. Vandalism Caught on Tape! | Our Daughter's Totaled Car Sep 11, 2012 A shop-owner catches those who use his property as a skateboard park; unwed parents fight over money. Van on the Run | Roommate Demise Sep 12, 2012 A woman regrets helping her former student purchase a vehicle; an ex-roommate sues for eviction fees. Wedding Trip and Fall | Florida Condo Scam? Sep 12, 2012 A mother sues for damages after her 6-year-old tripped and fell at a wedding; a pair say a Florida property owner scammed them. Shady Law Enforcement? | Dating Under the Influence Sep 13, 2012 A couple sues a man they accuse of theft; a man arrested for drunken driving blames his ex for not giving him a ride. Sisters Child Support Feud | Drinking Driving Crashing; Dog Hit by Car Sep 13, 2012 A teen's mother denies owing his aunt for child support; a man says his former friend drunkenly crashed his vehicle; ex-lovers dispute payment of veterinary bills after their dog is hit by a car. Paternity Test Vandalism | Fake Designer Scam? Sep 14, 2012 A man says his ex-lover vandalized his car and lied about the paternity of her child; a former friend sues for damages resulting from the online sale of a fake designer watch. Dance Hall Disaster Sep 14, 2012 A man says he chased attackers away with a lead pipe after they robbed and assaulted him at the banquet hall he rented for a party. Cop Sues Motorist Sep 17, 2012 A reckless driver accuses a police officer of being rude and disrespectful; a recording of the incident plays in court. Teacher Sues Student | Chihuahua Toss Sep 17, 2012 A teacher says her former student stole and damaged her tablet computer; a tiny dog's owner sues the mother of a child who injured it. Cyclist Blacks Out After Crash | Fostered Dog Scam? Sep 18, 2012 A bicyclist says she blacked out after being hit by a car and thrown to the ground; a dog-adoption manager accuses a woman of running a scam. Mom Mad at Rekindled Love? | IRS Fraud? Sep 18, 2012 A defendant says the only reason her mother is suing her for car payments is that she has reconciled with the incarcerated father of her son; another mother sues her son for a home loan. Man Misses Birth of Child | A Writer's Junked Car Sep 19, 2012 A teen denies vandalizing her ex's car after he missed the birth of their daughter; a writer accuses her former roommate of sexual harassment and sues him for selling her car. Landlord Denies Abuse | Feuding Cousins Sep 19, 2012 A former tenant accuses a landlord of abusing his girlfriend and his dogs; a woman sues her cousin for unpaid tickets and car damage. Assault and a Loaded Gun | Ex-Girlfriend's College Tuition Sep 20, 2012 A woman regrets calling the police to tell them her ex pulled a loaded gun on her brother; a mother sues her son's former girlfriend for repayment of a loan. Brother to Blame | Scorned Ex-Lover? Sep 20, 2012 A man admits to driving his sister's car when it was totaled but says he is not to blame, because it was not his car; a woman says her ex kept some of her belongings and destroyed the rest. Aspiring NY Singer Sued | Forcing My Hand Sep 21, 2012 A manager sues a young singer for repayment of a loan; a man sues his ex for repayment of multiple loans. Annulled Marriage Sep 21, 2012 A woman says her ex-husband broke into her home and stole property. Jilted Vacation | Ex-Lover Money Matters Sep 24, 2012 A woman and her former boyfriend reconcile long enough to vacation in the Dominican Republic, then fight over trip costs; a man denies owing his ex for towing, car repair and child support. Car Beat Down | Kissing Cousins Sep 25, 2012 A woman says her ex forgave a debt because she promised not to call the police on him after he punched her in the face; a man's former date sues him for repayment of loans. I Smell Gas! Sep 26, 2012 Tenants say their landlord barged into their apartment while they were in bed; he sues for rent and damages. Car, Truck, Assault | Boating While Intoxicated Sep 27, 2012 Brandishing a gun around children, an assault, and repossession of a truck; ex-roommates sue for unpaid rent after an accident forces a young man to move back home. Not Afraid of the Judge | Property Tax Fight Sep 28, 2012 A woman and her boyfriend accuse each other of assault; ex-lovers feud over $1,200. Questionable Loan to New Friend | Deadly Drunk Driving Accident Oct 1, 2012 A man refuses to pay back a $2,000 loan from a new friend; loved ones argue over who gets a memorial keepsake box. Pit Bull Threat? | Paternity Problem Oct 2, 2012 A man claims his neighbor's dog is a threat to his family; a woman sues her ex for slashing her tires. Teen Sisters' Vandalism | Broken Friendship Oct 3, 2012 A man claims his daughters lied to him about vandalizing a car; a woman doesn't want to pay for a window she broke. Ex-Roommate Feud | PT Cruiser Crisis! Oct 4, 2012 Woman sues former roommate over a broken lease; woman sues ex-boyfriend for missed payments on a PT Cruiser loan she co-signed. Jail Time Equals Sale Time Oct 5, 2012 He says she sold his car while he was in jail - she says he owes her damages for an assault. Ex-Son in Law Trucker | Sibling Bad Blood Oct 8, 2012 A couple sues their ex-son in-law for loan to go to trucking school; a sister sues her brother for unpaid rent and bills and damaging her car. Mother Sues Son | Roommate Riff Oct 9, 2012 A son is sued by his mother for several unpaid loans; a woman sues her former roommate. Bailed, Gas, X-Gifts | Property Lockout? Oct 11, 2012 Ex-lovers battle over loans; a woman sues landlord for her property. Love/Hate Triangle Oct 12, 2012 A man jailed after a fight sues his wife's boyfriend for breaking into his home. Mother and Son Fight | Man Punches TV? Oct 15, 2012 A man and his girlfriend say his mother owes them money, but she says she never took a dime from them; a woman says her child's father punched a TV screen during an argument, but he says he just fell on it. Ex-Lover Jackknifes Truck | A Lesson on Lying Oct 16, 2012 A woman says damaging her ex's truck was an accident; a mobile-home buyer's stories do not add up. Pit Bull Mauls Yorkie | Golf Ball Bash; Ex-Lover Fight Oct 17, 2012 Neighbors dispute thousands of dollars in veterinary-bill liability after a pit bull attacks a tiny dog; a golfer blames the lack of a protective fence for his errant ball breaking a car's windshield; a woman wants her ex to repay her for loans. Stolen iPad? | Can't Buy Me Love Oct 18, 2012 A woman accuses her ex of stealing her tablet computer; a man sues his former girlfriend for the return of a washer and dryer. Designer Shoe Deal Gone Bad | Sister-in-Law Feud Oct 19, 2012 Teens fight over a designer tennis-shoe deal and harassment; a woman says her sister-in-law sold her washer and dryer without permission. Disappearing Jewelry | Father/Son Loss of Deposit Oct 22, 2012 A woman with breast cancer sues her ex-boyfriend for holding on to the proceeds from the sale of her jewelry to pay for medical treatment; buyer and sellers argue over a deposit placed on a vehicle. Vandalism Catch 22 | My Mother/My Enemy Oct 23, 2012 An 8-year-old vandalizes wet cement; a man says his mother stole his car. Girls' Weekend Gone Wild | Abandoned Dog Oct 24, 2012 Women's wild weekend ends with destruction to hotel property, a vandalized car and a fight over liability; landlord and former tenant argue over a motorcycle, unpaid rent and an abandoned dog. Sugar in Gas Tank? | Player Loan Oct 24, 2012 A former couple feud over a car; a woman sues her ex for repayment of loans. Burned | Lovers No More Oct 25, 2012 A woman sues her ex-boyfriend for credit-card debt, parking tickets, impound fees and car-repair costs; a man's former lover sues him for thousands of dollars. Identity Theft False Arrest? | Ex-Fiancees' Dog Fight Oct 25, 2012 A young man says he spent time in prison because his ex-friend stole his identity; a former couple fight over a ring, a video camera and a dog. Crazy Love | Frat House Car Block Oct 26, 2012 A man says his ex forged a promissory note, vandalized his car and stole his belongings; a woman sues a man for damaging her illegally parked car. Racecar Collision | Teenager Joy Ride Wreck Oct 26, 2012 A racecar driver and a pit crew member argue over a collision; a woman sues her sister-in-law for damaging her truck on a joy ride. Three-Timing Boyfriend? Oct 29, 2012 A man says his ex-girlfriends vandalized his property while he was in jail. Violent Hissy Fit Caught on Tape | Hospital Bed Handout Oct 29, 2012 A young mother is caught on tape beating her neighbor's door; a man admits to stealing $1,000 in cash from his girlfriend while she was in the hospital. Young Girls Terrorized | Unwed Parents Fight Oct 30, 2012 A felon learns that her crime frightened her neighbors' children; a mother storms out of the courtroom in a rage. Pageant Beauty and the Breach | Roommate Lies? Oct 30, 2012 A teen pageant contestant denies owing a friend $1,800; a woman says she was concerned for the safety of her former roommate's young child, but waited eight months to call children's services. Racism and Trans-Gender Hate? Oct 31, 2012 A woman says she was dragged 30 yards while hanging out of a truck window during a fight with a fellow motorist. Road Rage Cat Fight Oct 31, 2012 A couple say a neighbor came at them with a knife after a dispute over a parking space; they accuse each other of prejudice. Unfriendly Car Crash | Man Claims Police Lied Nov 1, 2012 A wreck in the rain leaves a car totaled; accused of fraud, the finance manager for a car dealership says the plaintiff and the police lied. Drug Cookie Crash | No Car, No Money Nov 1, 2012 Teens are accused of backing into a truck after being asked to leave a party; a newborn's unwed parents fight over money paid for a luxury car. Don't Touch My Wife! | Hookah Pipe Party Mishap Nov 2, 2012 A young man says his teen girlfriend bit him during a dispute over a DVD; a young woman's car and the new puppy left in it are impounded when her father goes to jail for drunken driving. Biting and Fighting | Drunk Dad, Impounded Puppy Nov 2, 2012 A fight breaks out when a man defends his wife from being touched inappropriately; a woman sues her sons' friend for damaging her couch. Payback for Bailout | Valentine's Day Warrant Pay-Off Nov 5, 2012 A teen says his ex-girlfriend's new boyfriend vandalized his truck; college athletes say they had to move because their landlord's son smoked marijuana. Punch Truck Love | College Athletes Fear Marijuana Exposure Nov 5, 2012 Friends regret bailing a woman out of jail; a teen regrets lending money to her then-boyfriend so he could pay off a warrant. Target Practice Vandalism | Ex-Girlfriend Warrant Nov 6, 2012 Target-shooting idiots hit someone's car; ex-lover sues a terminally ill woman for rent, bail and late fees. Ex-Vandalism & Drug Trafficking? | Bowling Wii Disaster Nov 6, 2012 Unwed parents accuse each other of drug trafficking, vandalism and theft; a 6-year-old's gaming accident destroys a TV. Windshield Wiper Attack | Crash, Brake and Bills Nov 7, 2012 A teen says her ex-boyfriend vandalized her vehicle during a drunken argument; a woman sues her ex for totaling her car, but he says she is at fault for the crash and sues her for medical bills. Fight Over a Harley | Super-Glued Computer Nov 7, 2012 Ex-lovers vie for custody of a motorcycle; a man says his ex's sister ruined his computer, accidentally. Fake Designer Bag Scam? Nov 8, 2012 Buyer and seller dispute whether a designer handbag is fake or real. Risque Internet Pics | Terrorist Facebook Threats Nov 9, 2012 A plaintiff says her ex-boyfriend vandalized her car and posted risque photos of her online; a woman says her former friend had her falsely arrested for making terrorist threats. Pregnancy Test Vandalism | Punched in Face by Teen Nov 9, 2012 A man accuses his ex-girlfriend of vandalizing his car; a woman says her neighbor's teen boyfriend assaulted her. Father Hates Daughter's Boyfriend Nov 12, 2012 A teen denies trashing the home of his girlfriend's father, and he accuses him of coming at him with blind rage when he discovered the damage. Teen Too High to Drive? | Pit Bull Bites Dog Sitter Nov 12, 2012 A teen accuses an ex-friend of totaling his mother's car; a dog sitter says a pit bull bit her several times during a visit to a park, but its owner says she was warned. The Wedding That Never Happened | Single Mom Shake-Up Nov 13, 2012 A man and his mother sue his ex-fiancee for half of the cost of a wedding that did not take place; a single mother of four demands that her ex-boyfriend repay her for paying his bills, and he says she is holding his guitars for ransom. Mother | Daughter No Love Lost Nov 13, 2012 A woman accuses her daughter of vandalizing her home, stealing her things and filing a false restraining order. Drunken Stupor Maneuver? | Fraudulent Family Feud? Nov 14, 2012 A man says his drunken ex grabbed the steering wheel and totaled his car; a teen accuses a family friend of owing for a bad money order and bank fees. When Cousins Fight | Unwed Parents Car Dispute Nov 14, 2012 A woman says her teen cousin damaged her property in a fight with her husband; unwed parents fight over the ownership of a car. Divorcees Drama | Broken Hearts Nov 15, 2012 A man bought a truck for his daughter and expects his ex-wife to reimburse him for half of the cost; a woman wants her ex-boyfriend to repay her for loans, but he says he does not owe her a penny. Stolen Baby Belongings? | Crash at the Club Nov 15, 2012 A mother says her child's father owes for the return of property left behind; a woman says her drunken friend totaled her car. Love Bite | I Want My Cash! Nov 16, 2012 A man admits to accidentally shooting a neighbor's garage door in an effort to scare off a pit bull; a baby's mother says her landlord's excessive marijuana-smoking drove her from her home and refuses to pay past-due rent. Pit Bull Gunfire | Baby Not on Board Nov 16, 2012 A man says his ex-lover bit him and sues her for medical bills, pain and suffering; a car's owner says his drunken friend drove it into a river, totaled it, and stopped making payments on it. Child Custody and Malicious Intent? Nov 19, 2012 A young woman accuses her stepmother of mail tampering and tax fraud; a failed pregnancy, alleged assault and medical bills come between ex-lovers. Mail Tampering and IRS Fraud? | It Takes Two Nov 19, 2012 A man accuses the mother of his newborn son of maliciously filing a restraining order to get custody of their child. Vacuum Cleaner Caper | Bridesmaid Dress Disaster Nov 20, 2012 Former roommates fight over damages caused by a car accident; a newlywed sues her former bridesmaid following a dispute over the cost of bridesmaid dresses. Domestic Dispute Nov 20, 2012 A man denies breaking his ex-fiancee's wrist during an argument involving rent money and accusations of infidelity. Fireworks Flop! Nov 21, 2012 A woman claims her son's ex-girlfriend smashed her laptop; a married couple sue their former baby sitter for the return of wages and an unpaid loan. Fit of Rage! | Babysitter Blues Nov 21, 2012 When burning embers of fireworks allegedly land on a neighbor's cars and boat, a lawsuit for damages ensues. Boys Just Wanna Have Guns | Minor Car Collision Nov 26, 2012 A man says his daughter's boyfriend stole a gun from his home and owes him for a polygraph test; a defendant blames a plaintiff's teen daughter for a car accident. Dueling Daughters | Totaled Truck, Broken Heart? Nov 27, 2012 Mothers and daughters feud over a crashed car, a trashed room, a missing laptop, pain and suffering; a woman demands payback from her ex for a loan he used to buy a vehicle, now totaled. Bike Bang-Up | Assault and Rent Nov 28, 2012 A neighbor accuses a 12-year-old of damaging a truck; a man tries to get payback from his ex-boyfriend, who accuses him of assault. Sexual Harassment | Ex-Girlfriends Fight Nov 29, 2012 A woman accuses a neighbor of sexual battery and harassment, and he sues her for payment for yard work; ex-lovers feud over an unpaid utility bill. Follow the Money! Nov 30, 2012 A questionable cash payment for thousands of dollars throws a wrench into a landlord's bid to recoup vandalism damages. Dud Truck Divides Siblings | Man Attacked by His Own Pit Bull | Internet Snafu Dec 3, 2012 A woman says the truck her brother sold her is a lemon and refuses to pay for it; after his own pit bull attacks him, a man blames his neighbor's dog for upsetting it; a computer owner sues a technician for causing her photos and documents to vanish. Boxer Boo Boo | Ex-Lover Association Fight Dec 4, 2012 A dog sprains its foot; a man wants his ex to repay a debt. Surprise, You're a Daddy! | Cat Fight! Dec 5, 2012 An unwed father's ex-boss sues him for repayment of a loan to pay back child-support; women get into a physical altercation over the sale of a car. Parents Sue Son | Shoes on Fire! Dec 6, 2012 Parents sue a young man for totaling his sister's car when he drove it into a holler; a teen sues her former friend's girlfriend for setting fire to her shoes and damaging her bed. Love, Lies and Deceit | Impounding My Heart Dec 7, 2012 A former fiance sues for the return of property and punitive damages for filing a restraining order he says is false; a man regrets lending a friend money to get her car out of impound. Teen Lesson in Lying | Sister Squabble Dec 10, 2012 A woman learns that her teen son secretly took thousands of dollars out of their shared account and bought his new love interest a car, which the girl totaled days later; a sister who saves and a sister who spends fight over a loan to pay rent. Older Man/Younger Friend | Kickboxing Thrift Store Dec 11, 2012 A man regrets lending $2,500 to a younger woman; a kickboxing instructor demands that her former friend repay her for a loan. Teen Driver Destruction | Harley Freeloader? Dec 12, 2012 A teen's boss says she drove his truck without permission and destroyed the engine; ex-lovers fight over a motorcycle, trashed belongings, speeding with expired tags, and money. Mexico Timeshare Ex-Lovers | The Manny Dec 13, 2012 A woman learns her fiance vacationed in a timeshare with another woman; a man sues his former employer for unpaid baby-sitting fees and missing belongings, while she countersues for costs to change her locks. Pit Bull Whisperer | Animal House Dec 14, 2012 A dog trainer sues a breeder for the return of pit bull Adonis, mental anguish and training fees; Adonis' new owner sues a breeder for the cost of the animal and its living expenses; a woman says she left a rental unit because it was bedbug-infested. Motorcycle Mishap | Drunk Roomie? Jealousy Beer Bath! | Scratch That! Blind Horse Vandalism? | Say Uncle! Jail Break-Up | Hissy Fit Bleach Attack? Alleged Parrot Abuse | Child Vandal? Sister Pushed Down Stairs? | Slapped While Driving? Pit Bull Attack | SUV Thief? College Party Pooper? | Cat Maims Dog! Online Whirlwind Romance | No Good Deed! Pregnant Roommate Riff | Video Game Villain? A Mother's Last Wishes | Royal Hair Battle! Baseball Bat Madness | Scam or Makeup Artist? Not So Sweet 16 | Breast Cancer Faker! Road Rage Vigilante; Toddler Vandal? Pit Bull Breeding Bungle | Drunk Driving Ex-Boyfriend? Softball Player Scam? ; Three-Year-Old Vandal? ; Mom Wants Payback! Hair Pulling and Car Keying; Boyfriend Bribe? Democratic Road Trip Disaster; $4,000 Crap Shoot? Wedding Mess | Three Strikes, You're Out! Indecent Proposal? | My Father, the Thief? Hardworking Mom Woes | Cheap Jeep?! Slashed Tires | Smoke Bomb! | Illegal Eviction? When Dachshunds Attack! | Teen Vandals? Security Academy Scam? | Red Light Crash! Best Friend Desertion? | Old Car, New Fight! House Sitting Strife | Wild Child? Slander at the Salon? : Never Loan to a Friend! Tanning Bed Theft? ; Car Explosion, Melted Fence! Paycheck Theft? | Asleep at the Wheel? Babysitting Battle | Follow the Paper Trail! Say You're Sorry! | House of Lies? Give Me Back My Car! | Stolen Motorcycle? Mama Drama! ; No Song to Sing A family fights over a loan; a defendant says he cannot remember what happened and is thrown out of court. Scary Crash! ; A Family Affair An accident leaves a motorist with seven broken ribs and a dispute over liability; a man fights with his former stepdaughter over a loan for dental work. Nutty Roommate? ; Unwed Parents Fight A woman accuses her former roommate-to-be of "foaming at the mouth"; a man demands that his son's mother pay him back for loans. Stalker? ; Debt Dumper Incriminating texts come to light when a man sues his ex-girlfriend for having him falsely arrested for stalking; a woman accuses her ex of stealing her paycheck, and he countersues for damage a pet caused. Savage Dog Bite! ; Coin Collection Theft? A woman sues a vicious dog's owner for the cost of cosmetic surgery; a plaintiff accuses a former friend of stealing a vehicle and a valuable coin collection. Never Mix Friends and Finances; Bad Engine, Bad Blood Former friends fight over rent and property damage after a failed attempt to live together; a woman sues her estranged brother-in-law for repayment of a loan. Alaskan Husky Custody; Stolen Car and Credit Card? Ex-lovers fight over custody of a dog; a woman accuses her ex of stealing her car and her credit card. Mother vs. Son; Motorcycles and Marijuana? Family members dispute a large settlement and some medical bills; a woman wants her ex to return her clothing, and he accuses her of growing marijuana illegally. Tribal Settlement; Landlord Foul Play? A woman says her landlord demanded thousands of dollars in repair costs after he learned that she received a large settlement; a couple say their ex-landlord evicted them illegally and damaged their property. Pit Bull Attack! ; College Car Confusion A pit bull's owner accuses a 13-year-old of instigating an attack; a woman and her father say an auto mechanic never turned over the vehicle he sold to them. Friends Turned Enemies | Live-in Boyfriend or Not? Roommates and Restraining Orders | Give Me My Jackpot! Disappearing Saxophone | Party Bus Fight! | Careful What You Text! Start-Up Failure | Popcorn Stuck in a Child's Ear! Jealous Ex? | Time to Grow Up! Love and War | Six-Year-Old Boy’s Collision | The Commute Dispute Roommates make accusations of breaking a lease; a 6-year-old denies crashing into a moving truck with his bicycle; a man sues his niece for repayment of a loan. Father Son Fight A man and his wife and son fight over a shared-living experience. Church Friends Fight; Mother of Seven Sued Former friends argue over a laptop and slander; a landlord says he did not return a security deposit to a couple with seven children and two animals because they left the house in shambles. Stabbing, Divorce and a DUI; The Ex-Con and the Missing Furniture A plaintiff sues a former friend, who was stabbed coming out of a bar, for repayment of loans; a man insists that items he was storing for an old friend were stolen by his new, ex-con boyfriend. Legit Crash or Scam? ; No Good Deed A teen accuses another driver of crashing into her car; a plaintiff regrets helping out his daughter and son-in-law, who resist paying off their debt. Lion's Club Fight! ; You Owe Me Rent! Accusations of face-punching, teeth-breaking and cursing at a wife; a landlord sues former tenants for unpaid rent, late fees and damages. Pay Me Back! ; Scooter Fight A plaintiff demands that his former roommate repay him for rent; a landlord wants his ex-tenant to finish paying rent and the balance on a scooter. Mom and Son's Fiancee Fight! ; User Boyfriend; Door Destruction A plaintiff says her son's fiancee destroyed her belongings and failed to pay rent; a woman wants her child's father to repay her for an amusement park pass; a defendant says he had no choice but to kick down his sister's door. Unwed Parents Fight; Restraining Order; Texting Trouble A woman sues her child's father for unpaid rent; a man sues his ex; a couple sues the man who sold them a truck that got repossessed. Stepsister Deception? ; Ex-Lover's Couch; Relationship Ruining Rental A woman sues her stepbrother's ex for rent; a woman demands repayment of a loan from her ex; a woman says her ex stopped payment on his last rent check. Drug Addict Payback; Big Brother; Bahamas Vacation Parents sue their son and his lover; siblings fight about rent; a woman sues her friend for her share of a vacation's cost. Everything but the Kitchen Sink! ; German Shepherd Attack! ; Parents of 16 Children Exes fight over money; a man says his neighbors' dog attacked his two dogs and sues for vet bills; a couple sue their daughter for rent. Assault With a Rock; Mother Sues Daughter A woman sues her mother and sister for medical bills; a woman demands loan repayment from her daughter. Botched Limo to the Prom! ; Father Daughter Rental Dispute A teen claims a botched limo service ruined prom; a woman and her father sue her former landlord. The Van Man; Teen Mom Damages? ; Dog and Truck Collision A woman sues over an illegally repossessed van; a teen sues her child's father; a man sues for damages caused by his neighbor's dog. Hard Times; Lease Liability? ; Heart Attack Damage A mother with cancer denies owing money to a former friend; a woman sues a former tenant for breaking a lease and for repairs; a man is accused of damaging a bed. Electrocution Payback? ; Show Me the Money! A woman accuses her daughter of pouring water over her electronics, then stealing from her; a woman sues her brother for the misappropriation of funds. Friendship Gone Wrong A man sues his former friend for a loan. Car Keying Tenant? A landlord sues a former tenant for a utility bill, property damage and vandalism.